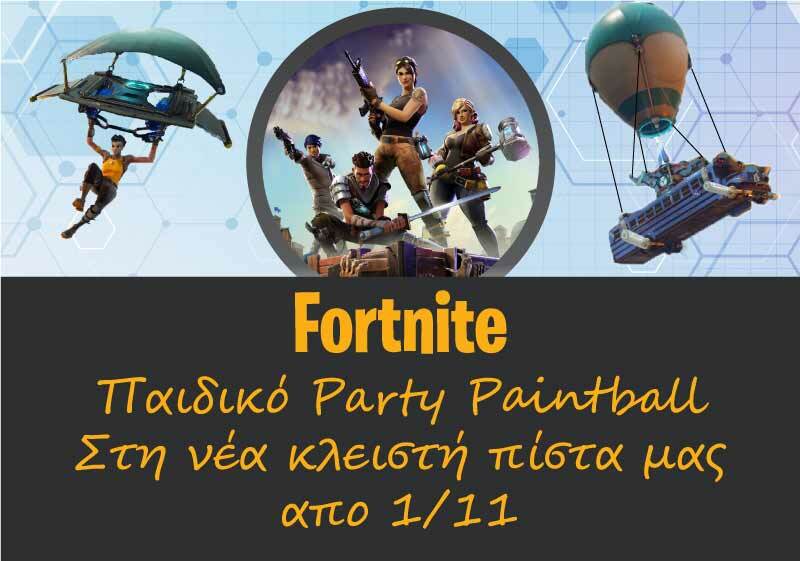 If you are planning your school trip to Thessaloniki, playing paintball with your classmates is one of the most fun activities you can do. 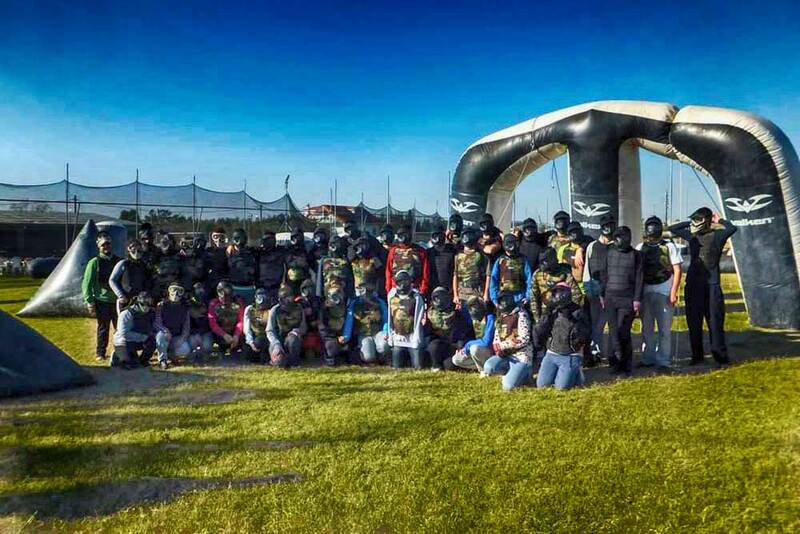 This is the reason why paintball has become synonymous to school trips in Thessaloniki. Escape the ordinary, empty your mind from school duties and let the adrenaline take over you. Roll overs, crawling, fire and cover, charge! Here you have the chance of trying all this and even more. 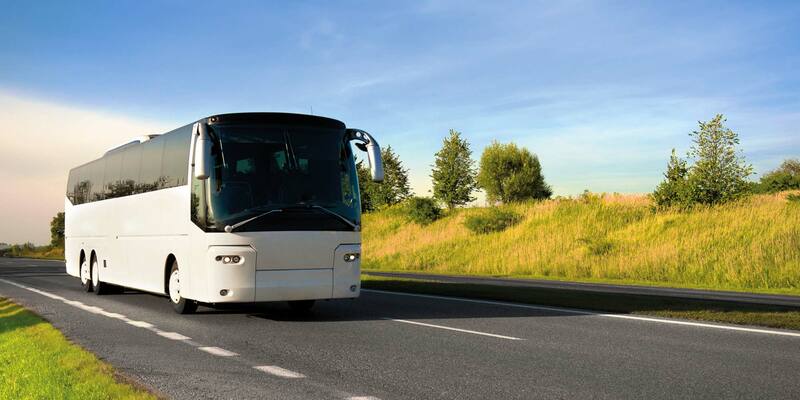 In case some pupils do not want to participate in the activity, they can either sit in our cafeteria or visit the Mediterranean Cosmos shopping mall, which is just 3 minutes away by car. 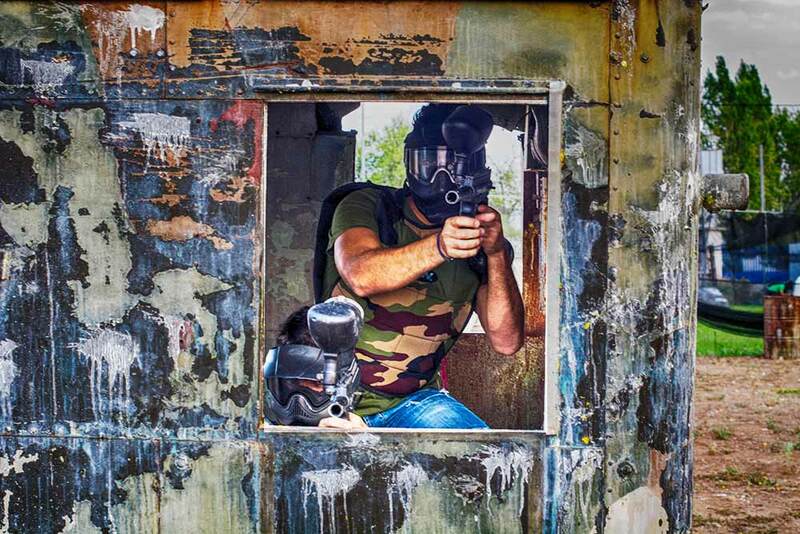 The paintball activity (depending on the number of participants) lasts between 2 and 3 hours. 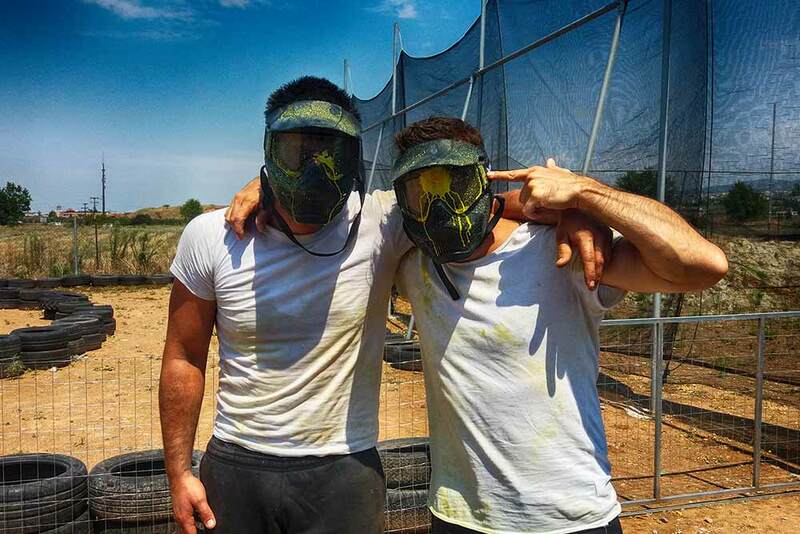 ♦ But why play Paintball during on your School trip? 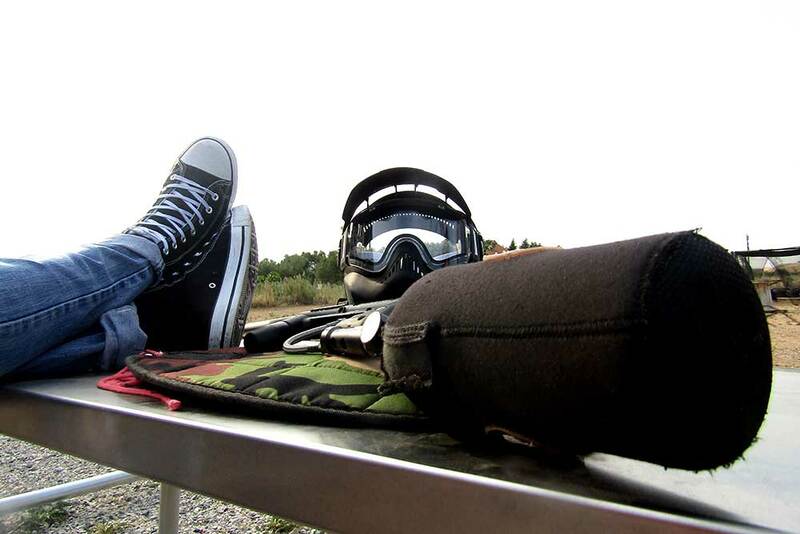 Because paintball is like being in another universe. Nothing is ordinary here and everything will look new to you. Many and different things will happen that will surprise you. Because before the game even starts, as you stand still and in absolute quite to hear the starting signal, you will feel your heart beating loudly. Because you would like to scream your lungs out when you shoot an opponent through a small palm sized window while being hidden under a car. Because at the end of the day you will all leave with a smile on your faces and full of stories worth telling. Because you will talk about this experience for the rest of the school year but also many years after the end of your school life. Because you will feel a team bonding like you’ve never experience before. Because for a very strange reason, everybody wants the teacher on their team.